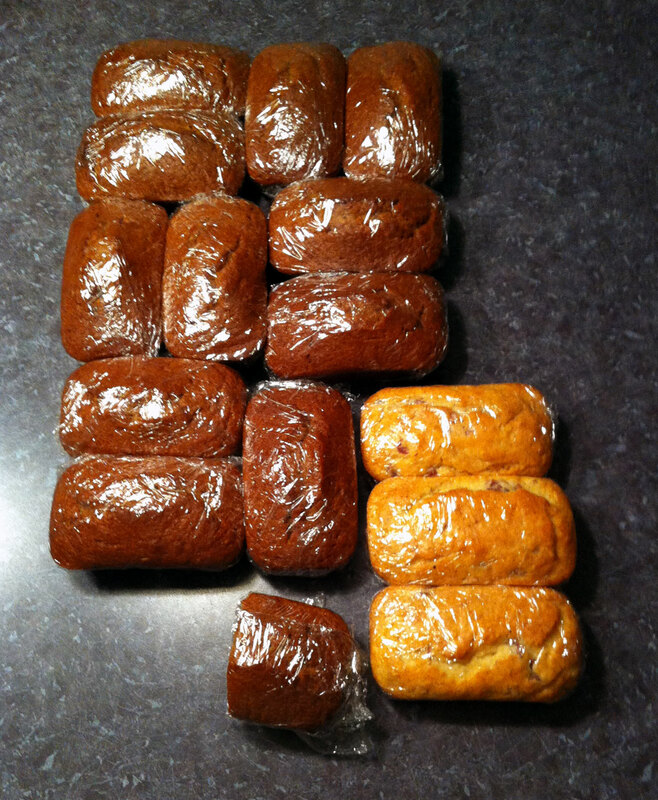 Do you remember a few weeks ago I made many loaves of quick breads to help heat up the house when we had several days of bitter cold temperatures? We had a slight reprieve right after that. Only sight. The temps actually made it into double digits! Well, last week I did made several more loaves of quick breads as we had several days of bitter cold temperatures again. Only I didn’t keep all the breads for us. I mailed a care package of goodies to my aunt. Cinnamon Crunch Bread and Pumpkin Bread. All wrapped up and gift-worthy. Did you also know that February has six, count ’em, SIX ***Special Days***? February 12 – Abraham Lincoln’s Birthday. The 16th US President. February 14 – Valentine’s Day. A day to show those you love that you love them. February 17 – President’s Day. To honor all US Presidents. February 22 – George Washington’s Birthday. The 1st US President. Do you have any other “Special” days this month? 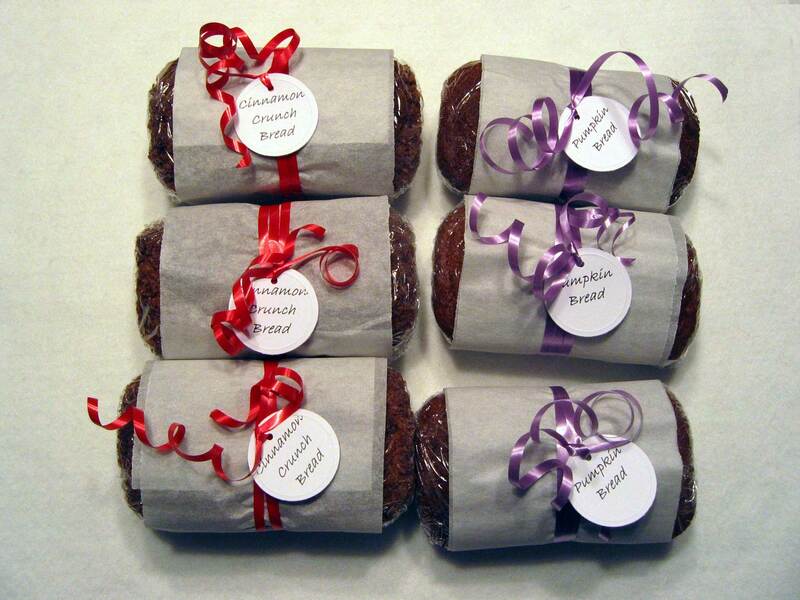 This entry was posted in food, good eats and tagged food, gift, holiday, quick breads, special by Patti_is_knittinginflashes. Bookmark the permalink. My special day is the “I want to eat Patti’s cinnamon bread Day”!! And the breads are delicious. I am happy to be among all the other days in February.